Remember that easy chair Dad used to sink into every evening — the one Mom felt was too big and clunky for her? Times have changed. Today’s recliners combine style and function in a way that will please everyone (and every body). Here’s how to choose the right recliner for you. Foam- A minimum of 1.8-lb.-density foam in the seat retains its height over a period of years. Reclining Mechanism- A construction of 8-1/2-gauge steel or better stands up to years of daily use. Your salesperson should explain these features and the tests the recliner has undergone to ensure long-lasting performance. Ask about a warranty. Power Recliners have an electric motor that lets you stop at an infinite number of positions between upright and fully reclined. Manual Recliners offer two or three positions, and are typically engaged by a button or lever on the side of the chair. “Push-back” recliners eliminate any visible sign of a reclining mechanism — they move with a simple push on the arms. Microfiber- Polyester fabric that looks and feels like soft suede but is more durable and easier to clean. Chenille- Soft to the touch, with a distinctive texture; masks dirt well and resists wear. • Check the fit. Measure your space so you’ll know what size recliner will fit. Allow for the fully reclined position. • Sit on it. 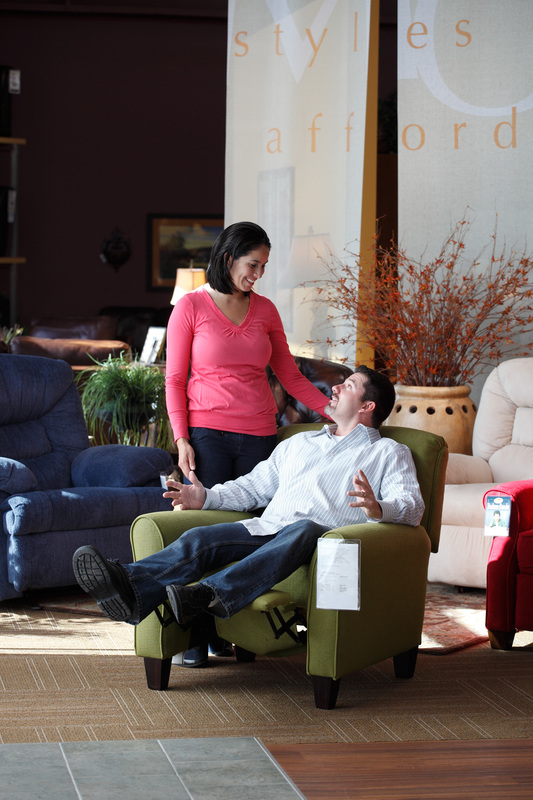 Test-drive recliners in the store to make sure the lumbar support, posture and reclining angle(s) feel comfortable. The reclining button or lever should be easy to reach from all seated positions. • Study your style. Determine what look will complement your room. There are recliners to fit every decor. • Set a budget. Well-made recliners can cost from $200 to more than $2,000. • Choose your move. Chaise-style recliners feature a seat and back that move in tandem to reach a reclining position. 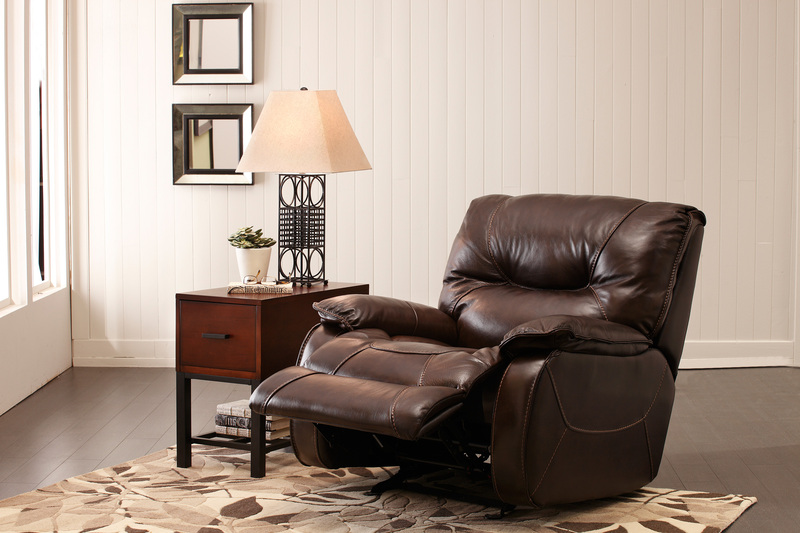 Wall-saver recliners can be placed just inches from a wall because the seat moves forward as you recline. 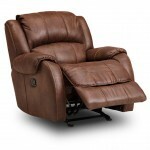 Rocker recliners rock in the upright position. Swivel recliners can rotate in a complete circle. 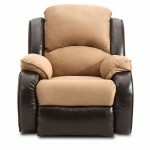 Today’s recliners are available in a wide array of upholstery choices. 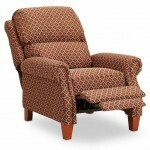 See recliner options from Sofa Mart. Copyright © 2019 Home is Here.